Gracehill Gallery on Mill Street in Ballymena have paintings by Dennis Orme Shaw on display and for sale. Dennis Orme Shaw was born in Cookstown in Co. Tyrone and has exhibited his work throughout Northern Ireland. 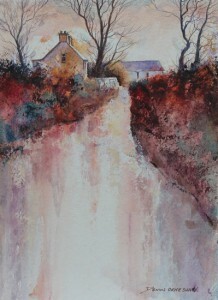 His work often depicts traditional Irish cottages and beautiful peaceful scenery. 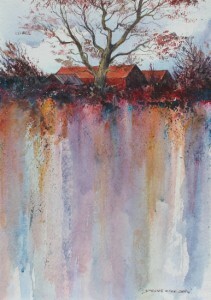 We love the colours and composition of these two pieces which are available from Gracehill Gallery. For more information call in to Gracehill Gallery on Mill Street in Ballymena or call them on 028 2565 2544.